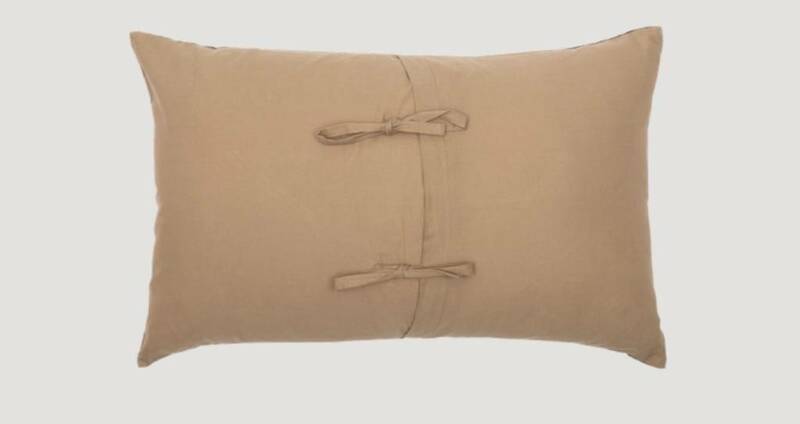 This country style accent pillow is the perfect addition to dress your bed. 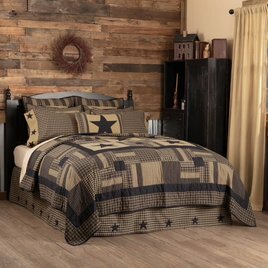 It contains a solid tan cotton fabric with large appliqued black 5-point star in center accented with check & plaid strips in black and tan on each side. 14" x 22". *Coordinates with Black Check Curtains. 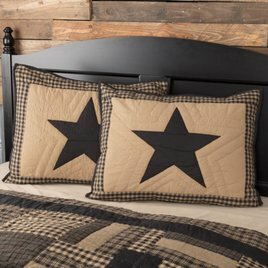 Thank you for choosing to shop with us and considering our Black Check Star Quilt & Pillow Collection! The Black Check Collection quilt contains stitch in the ditch hand-quilting on check pattern, plaid, and solid cotton - features 5-point star and confetti block patches accented with solid and check fabric borders. Rich colors and authentic design. 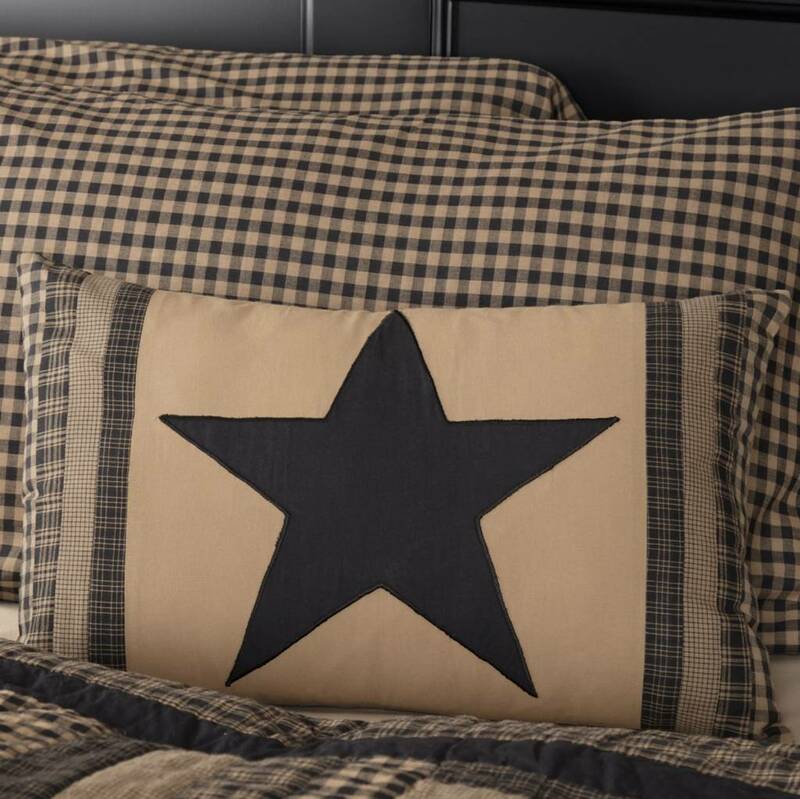 The beautiful and rich colors of the Black Check Star Pillow Case Cover is accented with check pattern-opening in solid cotton fabric-featuring three black applique 5-point stars. A perfect addition to your country style. 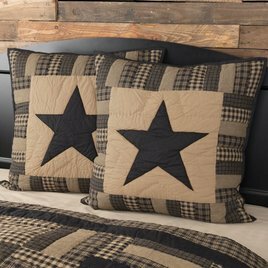 The rich colors of the Black Check Star Quilted Euro Sham makes quite a statement. This sham features a star applique centered on solid, accented with check patterns and confetti block patches - reverses to solid. Black and khaki checks are blended with faded texture at points of intersection to give a modern facelift to the classic pattern on the Black Check Scalloped Valance Layered Lined 16x72. The Black Check Quilted Coverlet brings rich color and texture to your home. 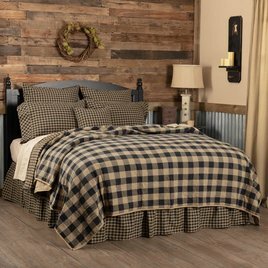 This coverlet is patterned with checks for an ultra-comfy and inviting down-home primitive look. The welcoming feel of a bedroom is created with layers like this! You'll love the traditional look of the Black Check Line Valance. 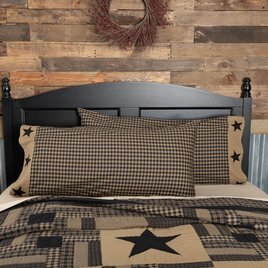 The black and khaki colors in the Check pattern is a warm addition to your country home. Scalloped edge detail. Lined with cotton. Coordinates also with the Black Check Star Collection. 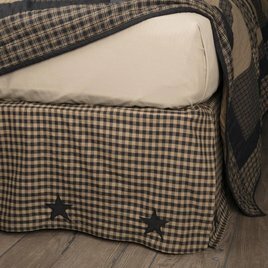 This Black Check Star Bed Skirt mixes primitive check patterns with a bottom edge accented in solid colored 5-point star appliques to enhance the country home feel - 100% cotton. Coordinates with Black Star Curtains found on our site. The Black Check Star Shams contain stitches in the ditch hand-quilting on check pattern, plaid, & solid cotton fabrics. 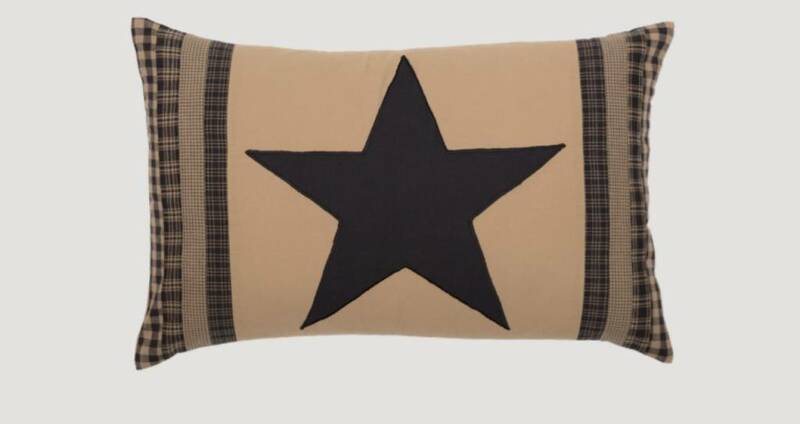 This pillow sham contains a 5-point star applique centered on solid cotton fabric, accented with check pattern border. 100% cotton.